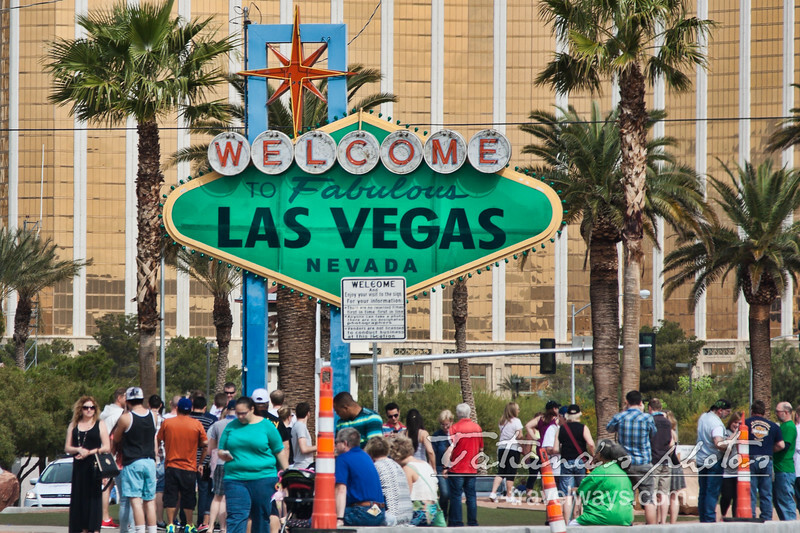 The funniest thing I’ve seen was the “Welcome to Las Vegas” sign on Las Vegas Strip, which… became green! 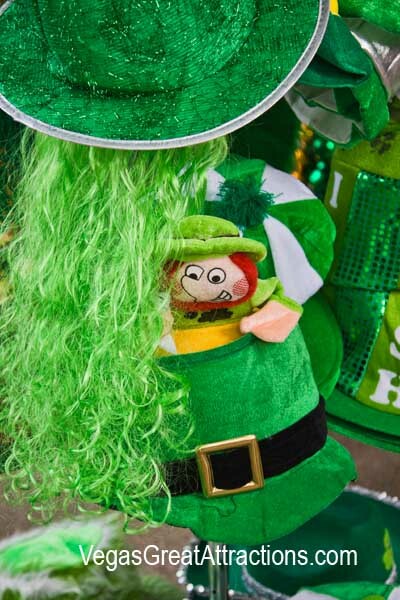 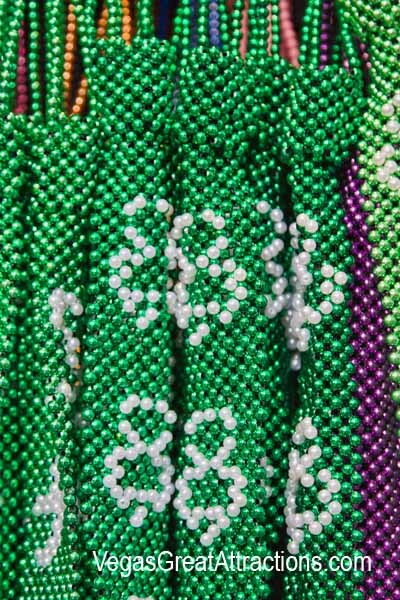 Those who celebrated St. Patrick’s Day 2015 in Las Vegas could find lots of FREE fun things to do! 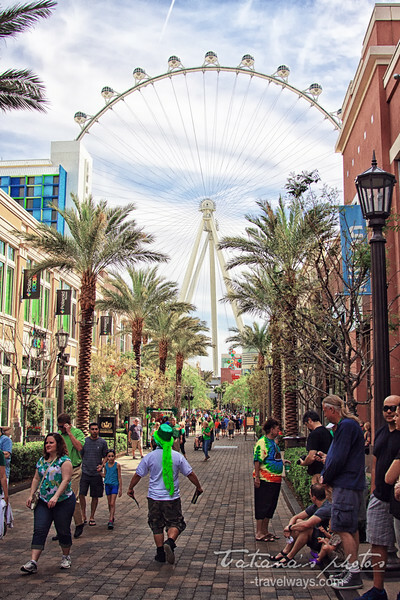 From March 13th to March 17th, Fremont Street Experience offered free concerts every day and a lot of other cool attractions. 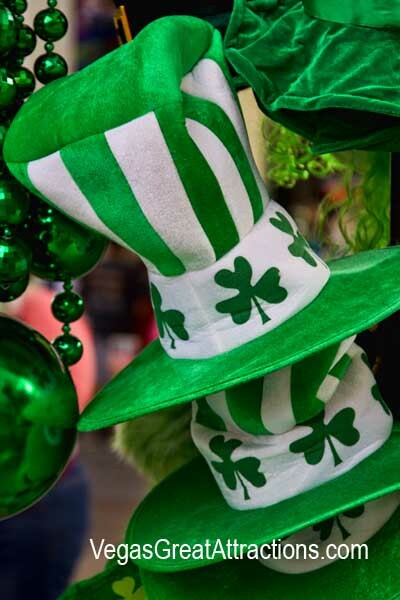 My husband and I always like to participate in Irish parties, listen to Irish music and dance, so we went there yesterday, 15th of March, along with some friends. 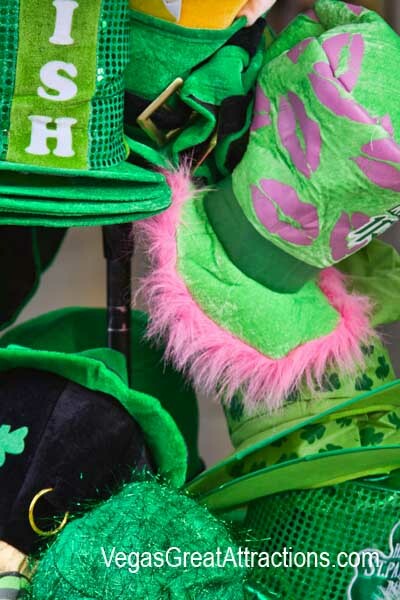 None of us were prepared with our greenwear, and thought we’d feel a little out of place, but in the general euphoria nobody noticed that… :) However, if you want to be in tone with the festivity, there are quite a few vendors offering all kind of cool green stuff. 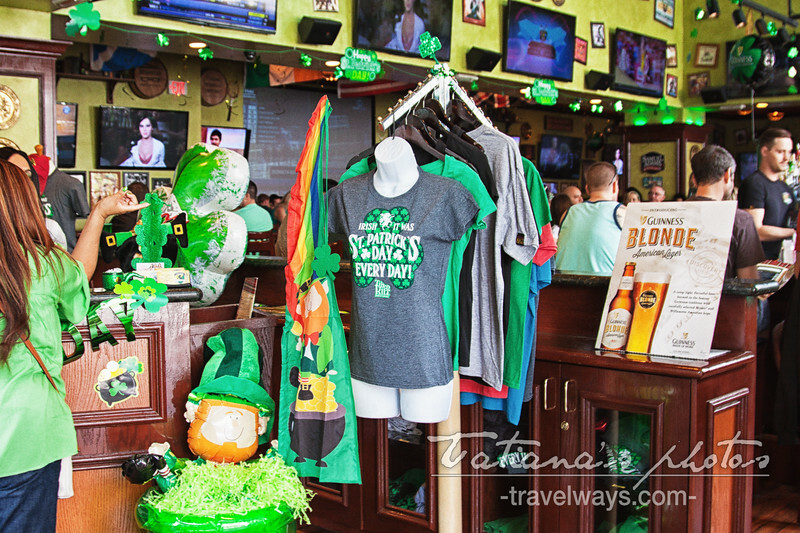 “Everyone’s Irish” on St.Patrick’s Day and the party starts at the D!” says the famous casino on Fremont Street Experience. 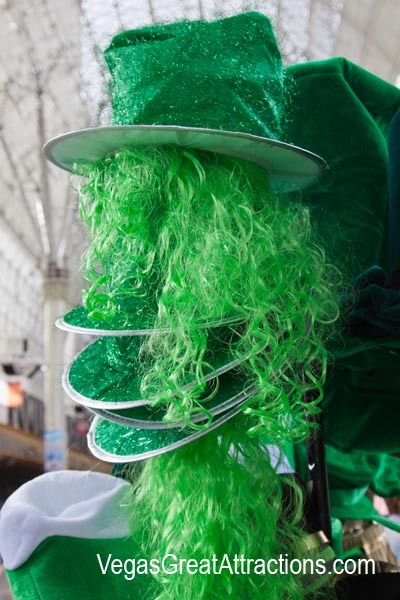 Similar shows play on all the 3 stages of Fremont Street Experience, at various hours and you can see more details on the VegasExperience site. 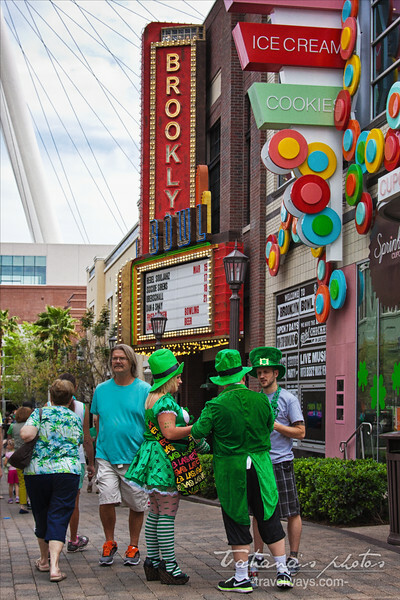 Still another place to have fun on St. Patrick’s Day, is the O’Shaes Bloq Party at the Linq Promenade. 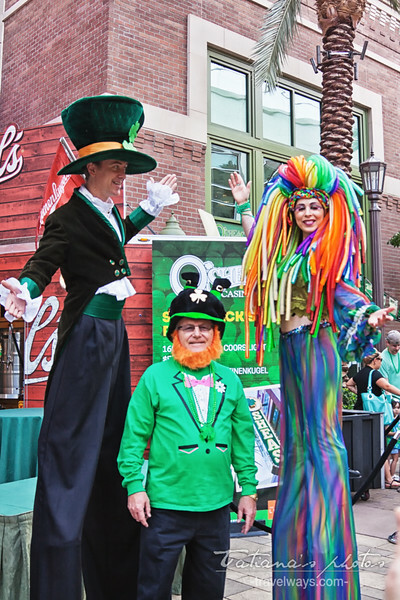 Reportedly the largest St. Patrick’s Day celebration in Las Vegas, this festivity was advertised to include leprechaun parades, live bands, a silent disco and fantastic food and drink specials.